The information contained in this Site is for general guidance on matters of health interest only. While we have made every attempt to ensure that the information contained in this Site has been obtained from reliable sources, Dental Phone Excellence is not responsible for any errors or omissions, or for the results obtained from the use of this information. In no event will Dental Phone Excellence, its related partnerships or corporations, or the partners, agents or employees thereof be liable to you or anyone else for any decision made or action taken in reliance on the information in this Site or for any consequential, special or similar damages, even if advised of the possibility of such damages. 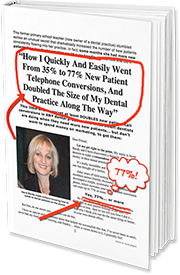 Certain links in this Site connect to other Web Sites maintained by third parties over whom Dental Phone Excellence has no control. Dental Phone Excellence makes no representations as to the accuracy or any other aspect of information contained in other Web Sites.